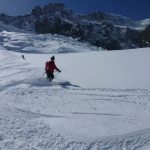 Join IFMGA Certified Mountain Guide Herbert for a spectacular day of Off-Piste or Freeride Skiing on the powder slopes of Zermatt in the Swiss Alps. 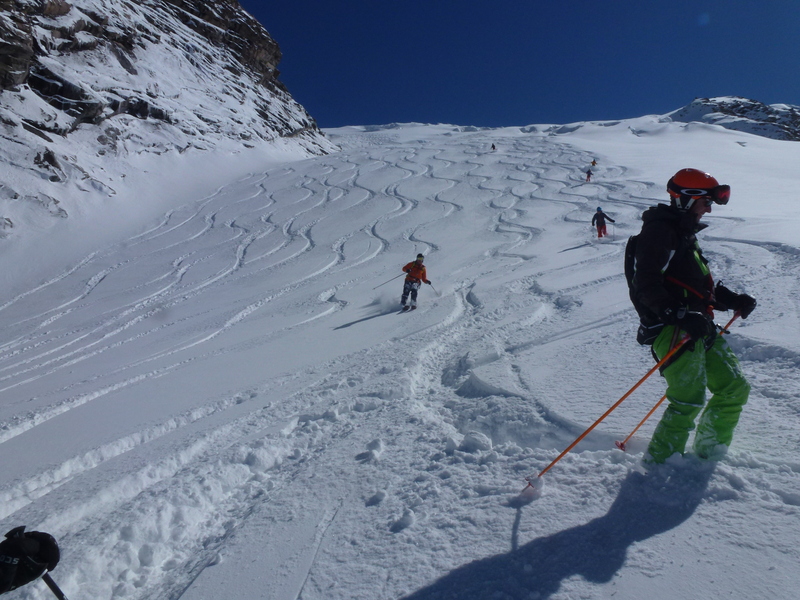 Let me guide you for a Full Day of Off-Piste or Freeride Skiing in Zermatt, Switzerland. 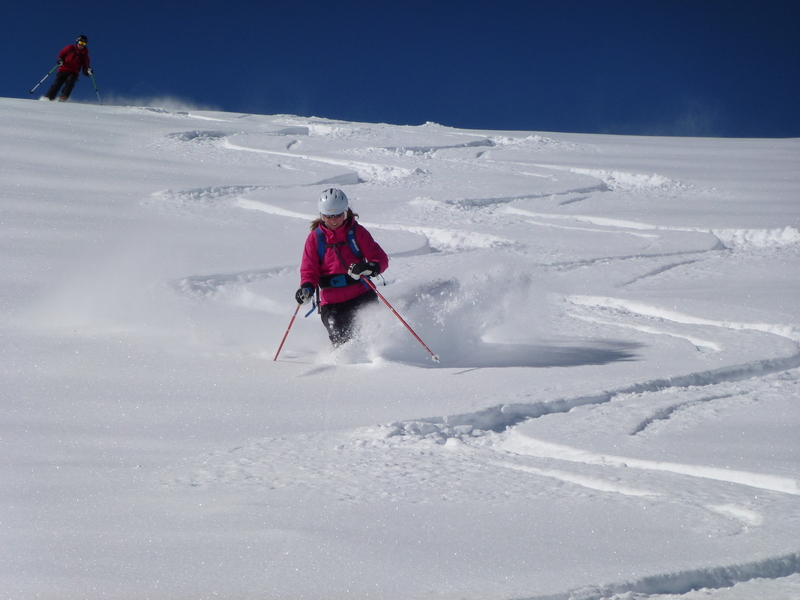 There is nothing more exciting than Off-Piste or Freeride Skiing. There is also not much of a difference between the two. Since both revolve around the thrill of skiing down boundless slopes. 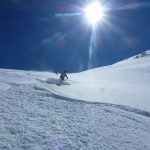 However, while Off-Piste Skiers prefer to do Short Turns and Create Eights at a Moderate Speed, Freeriders prefer to Fly Down the Mountains. 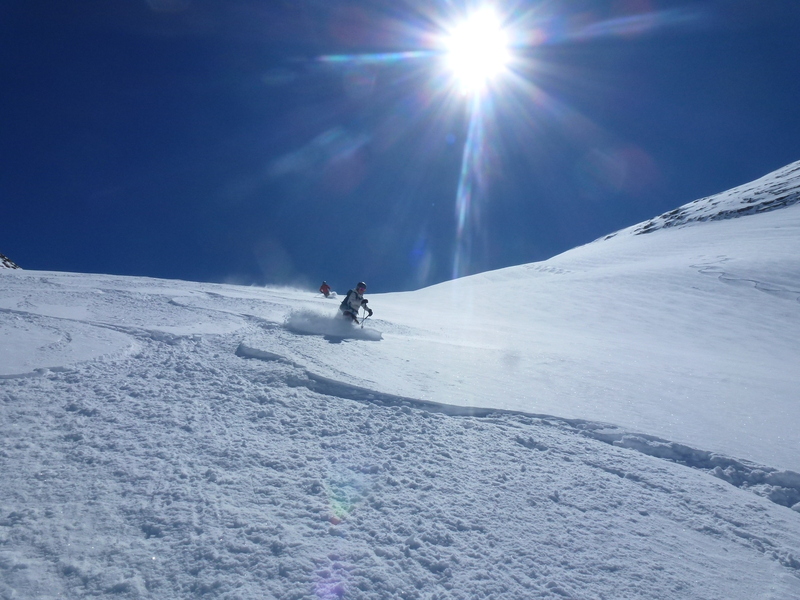 Either way, there is no strict guidelines as to what defines Off-Piste Skiing or Freeriding. And you can enjoy both on this Day-Trip in Zermatt. This All-Day trip will start on Zermatt’s Official Slopes. However, those slopes will only be used to lead us to the next runs. 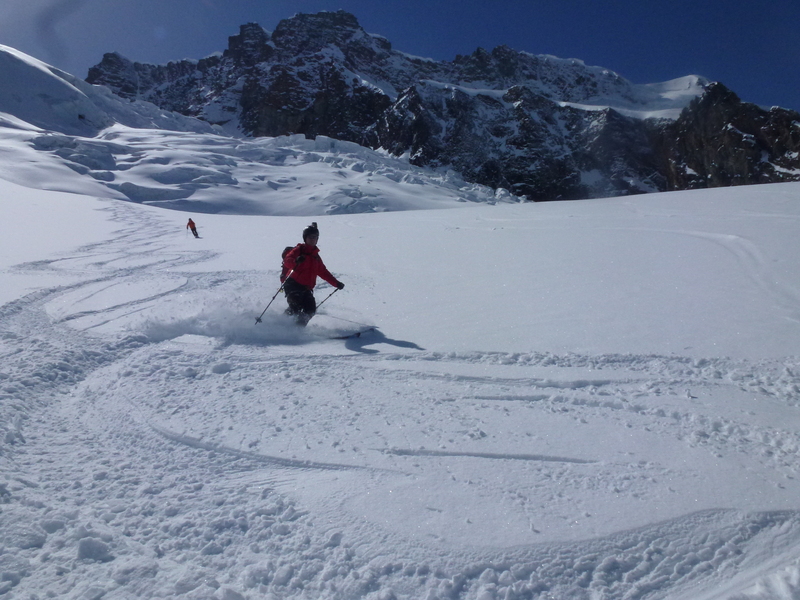 Which are much more open and free, making them perfect for what this trip is all about, Off-Piste or Freeride skiing! Another great thing about this trip is that everything you do is entirely up to you. 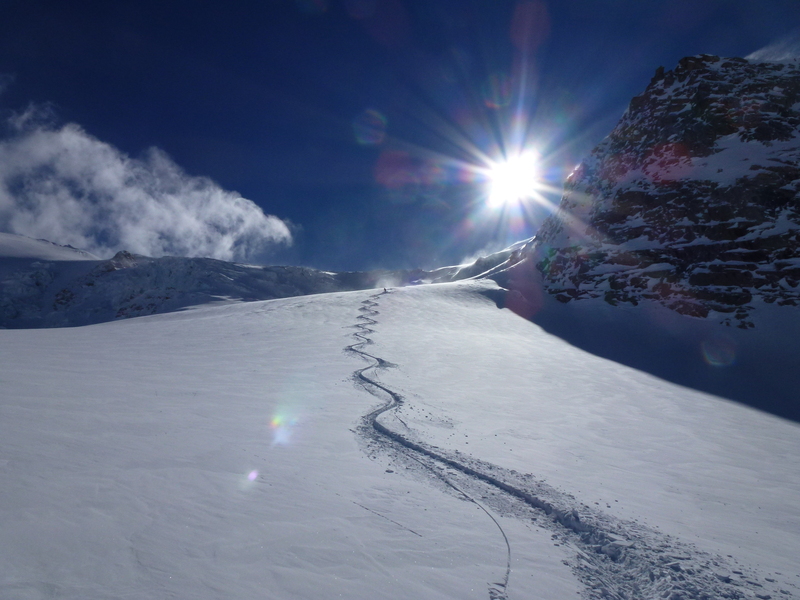 You decide which area you wish to ski, which could include, Sunnega, Gornergrat, Klein Matterhorn or Cervinia. 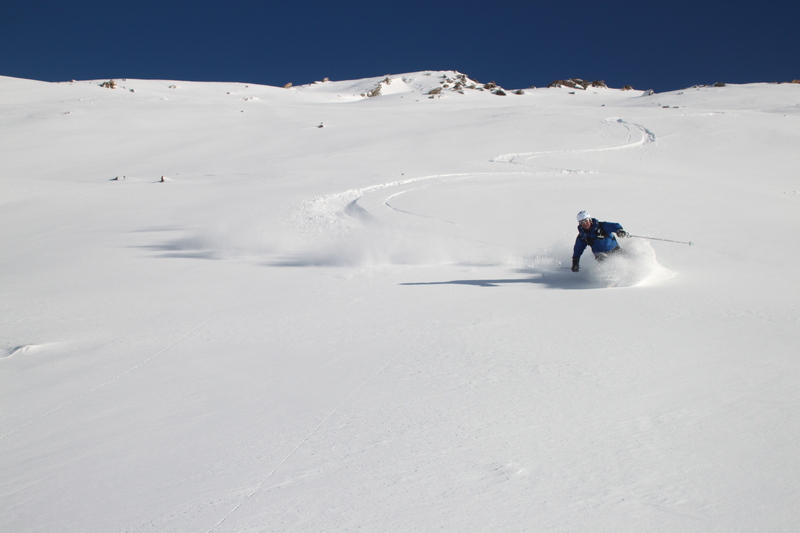 You decide how hard and how fast you want to ski. And you decide when the day ends. 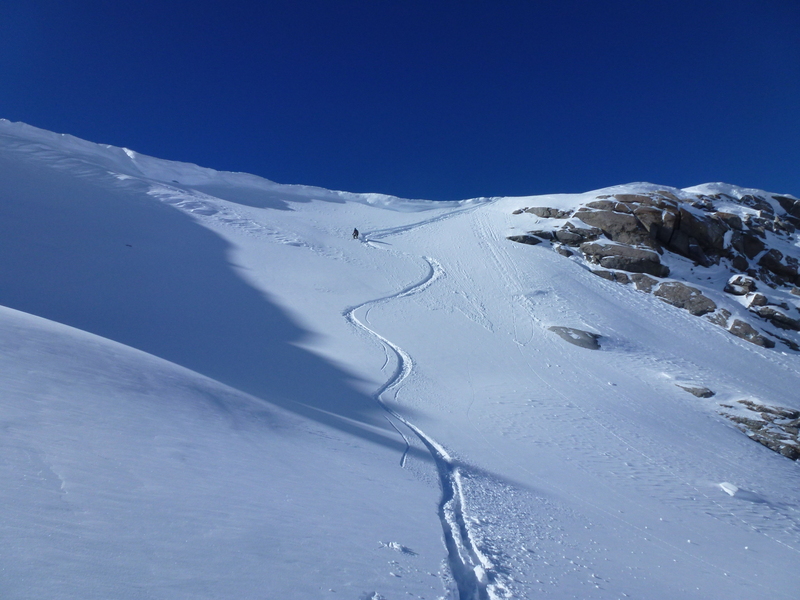 Also, in the event there is no powder, you can also enjoy skiing down a Couloir, which will definitely provide you with a memorable does of excitement. 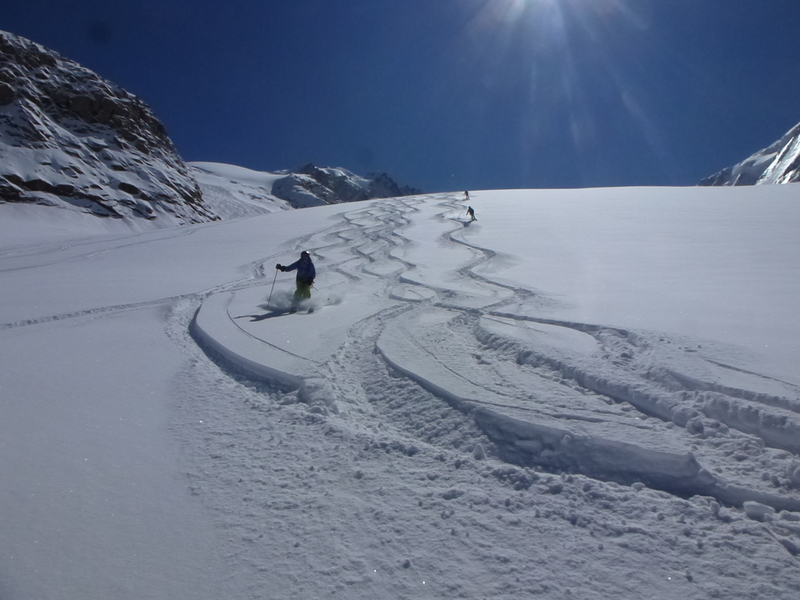 So come and join me for a Full-Day of Off-Piste or Freeride Skiing on the slopes of Zermatt. 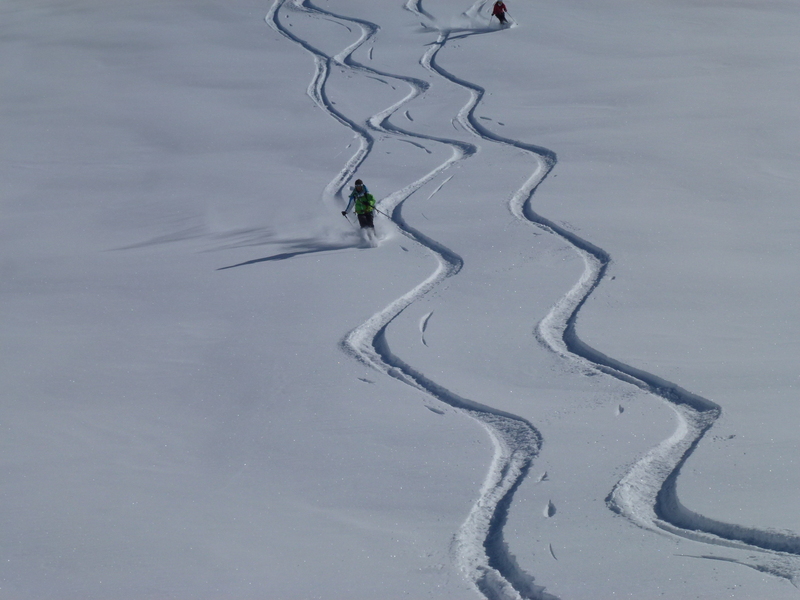 Feel the rush of flying down boundless slopes at top speed, or stop and admire the tracks you’ve left behind. 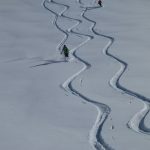 Either way, the day is entirely about how you want to ski, where you want to ski, and for how long you want to ski. 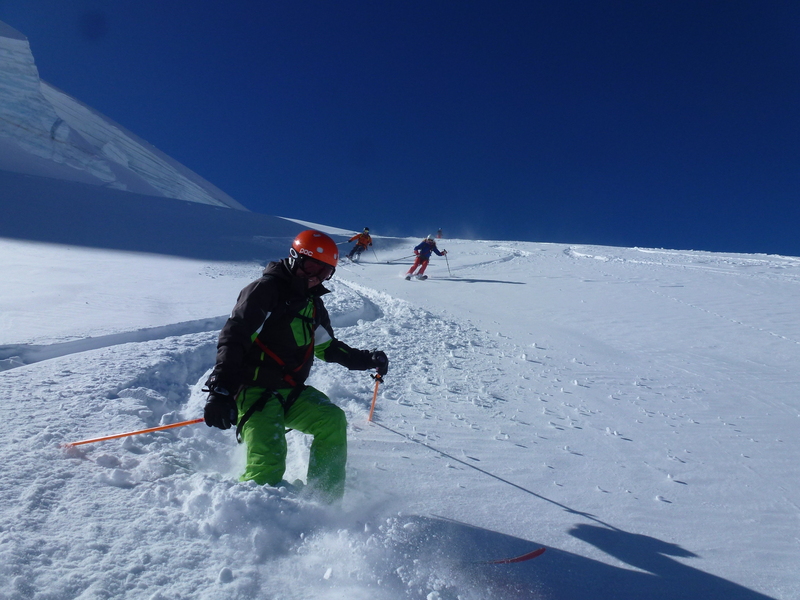 And if you are interested in joining me for Guided Ice Climbing in Zermatt, you can also join me on this excursion. I can meet you at the bottom of one of the cable cars. 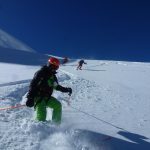 An avalanche transceiver and if necessary a harness will provided if necessary. Prices and program are subject to change. Trips can be set up upon request, availability is all year round. I am a nature lover who made his hobbies and passion into his profession. I possess only international recognized qualifications. As I am active in the mountains the whole year round my goal is to complement the programmes of the local organizations. 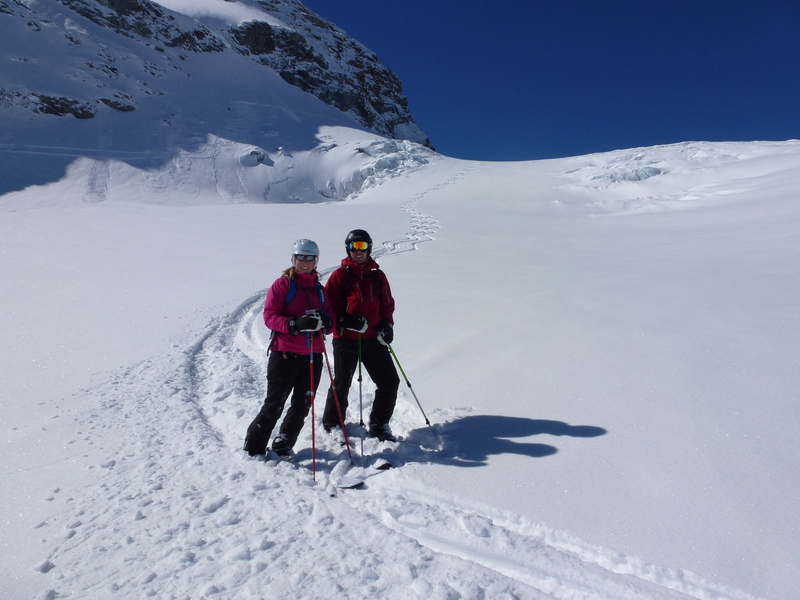 My desire is to share with you my joy on the mountains, my knowledge, my experience and to make your stay in Zermatt to an unforgettable experience. In the following pages you will find a few suggestions and ideas for your holiday in Zermatt. If my ideas or suggestions do not meet your demands, please do not hesitate to let me know what you would like to do and I will create your own personal programme. I am not only active in Zermatt but also everywhere where outdoor activities can be done. It would be a pleasure to accompany you safely and competently in the mountains. the skiing to fit our ability. Would not hesitate to highly recommend Herbert…..thank you for an epic memory.